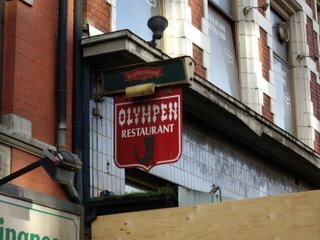 Sadly the restaurant Olympen is now closed and the work to destroy a long and rich history has started. Restaurant Olympen has been in the same house for a century and is one of the few remaining traditional brown bars in Oslo. Olympen was an unpretencious, traditional beerhall and a monument to times long gone. 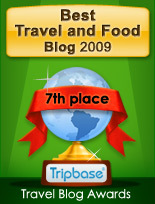 A place that welcomed everyone, even those that feel increasingly uneasy with the new trendy world. So where are the Norwegian authorities? Do they understand the value of these old taverns and beerhalls? Maybe, if they represent the bourgois culture, the places where wealthy citizen meet after an evening at the opera, or if Ibsen, Bjørnson, or Grieg once went there. The places where Herr Andersen met fru Kristensen however, those that made Oslo into what it is today, are not worth considering as historic monuments. Olympen and many other places on the former working class eastend of the city represent something completely different. 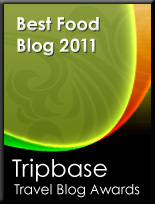 A place to feel at home in an increasingly trendy world. A world that have forgotten so much and so many, and has embraced the cold new capitalism. The world that value everything in money. For you tourists a genuine place to go has disappeared. One place less to recommend off the beaten track in Oslo, one threat less to the tourist traps of the city. There are still a few left, but hurry up if you want to experience them. The interior designers and property developpers stand ready to destroy what is left.